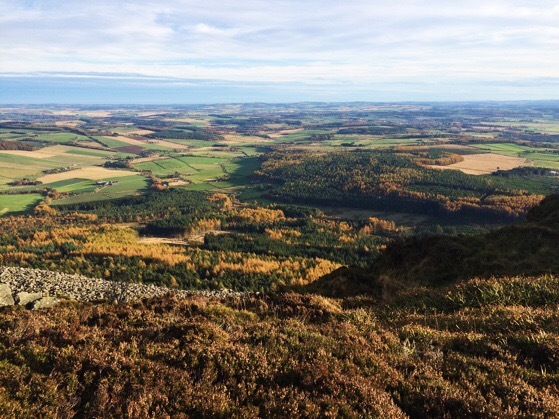 We’ve been climbing up to this view of Aberdeenshire since our first October in Scotland. 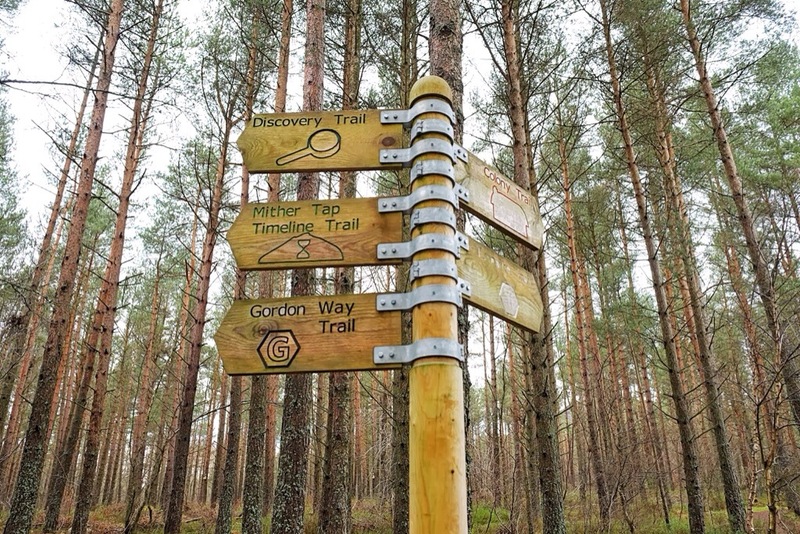 We’ve taken lots of friends to Bennachie and walked the trails in all different seasons, so I thought it would be fun to combine a series of photos from the many different trips. 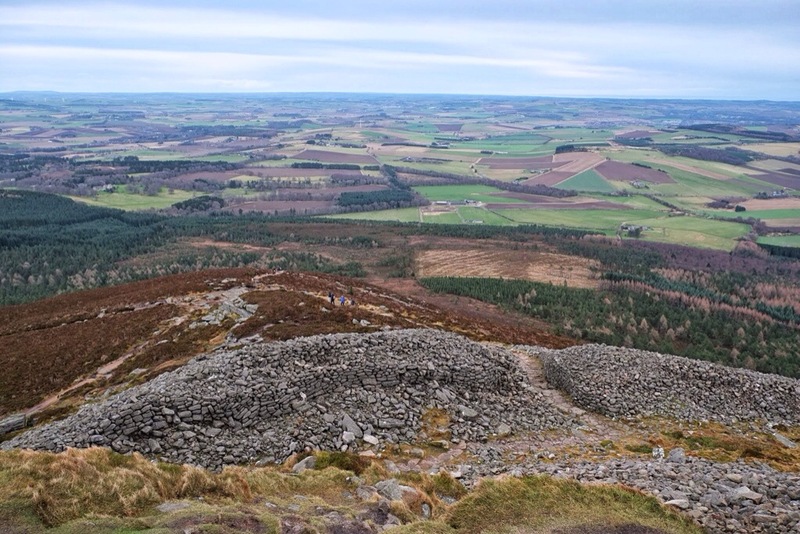 There are several different hills and sometime we do a circular route to hit them all, but most of the time we go to the top of Mither Tap and back down again. 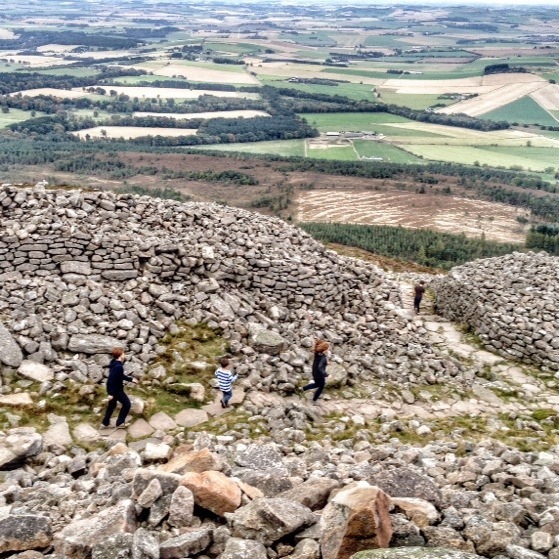 Our first time on Bennachie: October 2013. 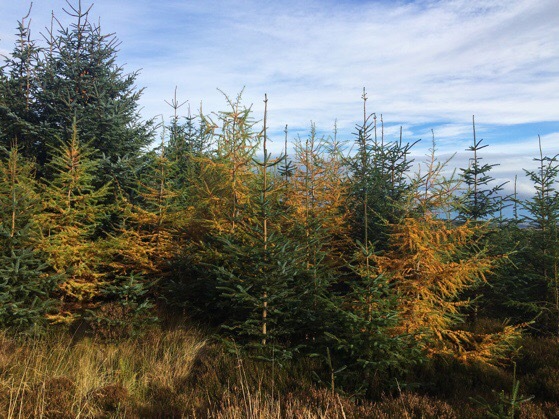 The larches were yellow on our first trip to Bennachie. We went back in the winter. January 2014. Even in winter, Scotland from above is very green. And the trees are still gorgeous. Another winter day, darker this time. This trip was in May of 2015. With my mama. We started the day in the sunshine, but by the time we got to the top we were covered in mist. Then on the way down it started to snow. Because May in Scotland. 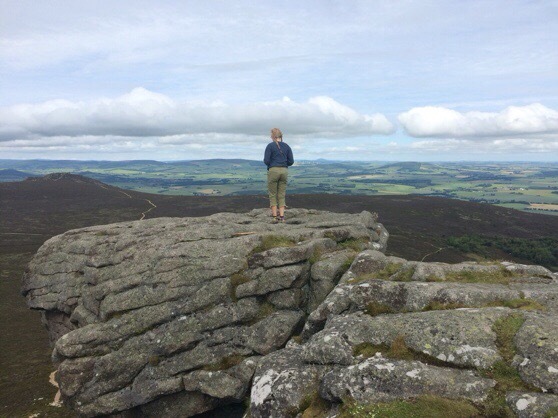 On a sunny day in July (2015), Ben and I took Anna and Grace (my sis and niece) up. The heather was starting to be in bloom. The shades of green were deeper. And a little less wind on top. 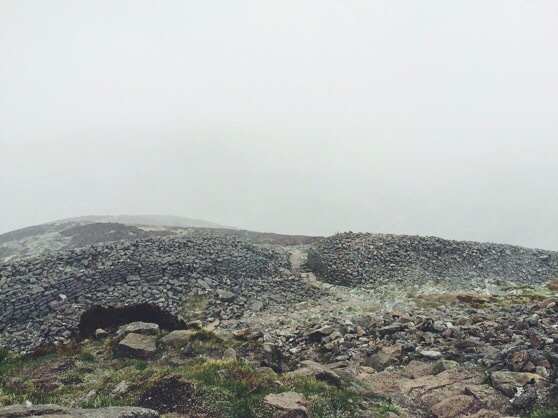 Then in October of 2015, we had our first “summer” day on Bennachie. 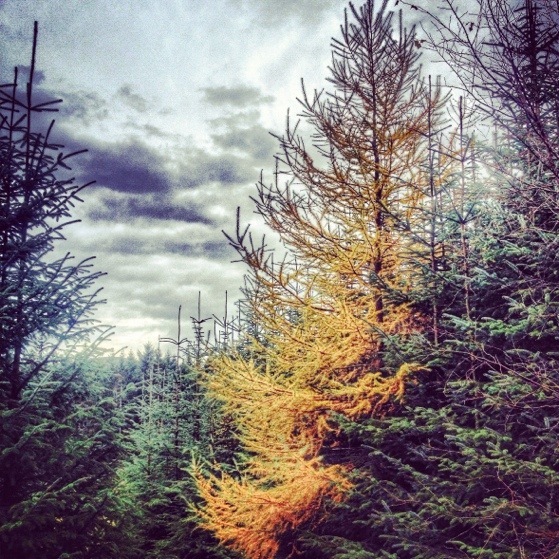 The colors of the trees and the colors of the sky were competing with each other. 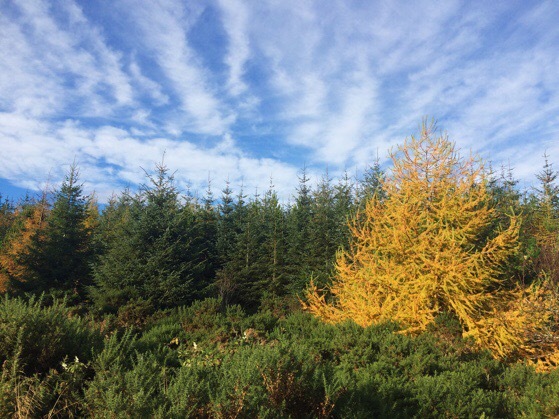 September and October can be surprisingly gorgeous in Scotland. We were outside more days in October this year than we were in July and August. 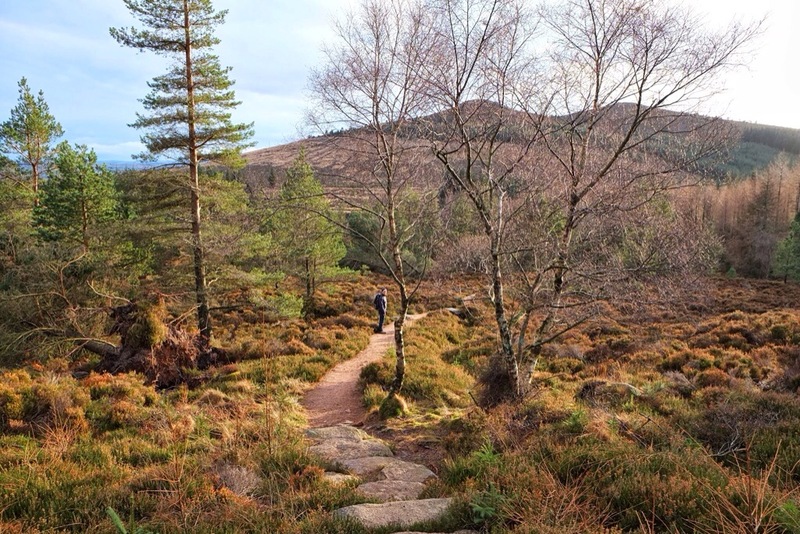 Our latest trip up Mither Tap was on New Year’s Day (January 2016) while Taido’s sister was visiting. We managed a photo even though we felt like we might get blown off the top. It’s a rare day that the wind is not cutting through your layers on a Scottish hilltop. 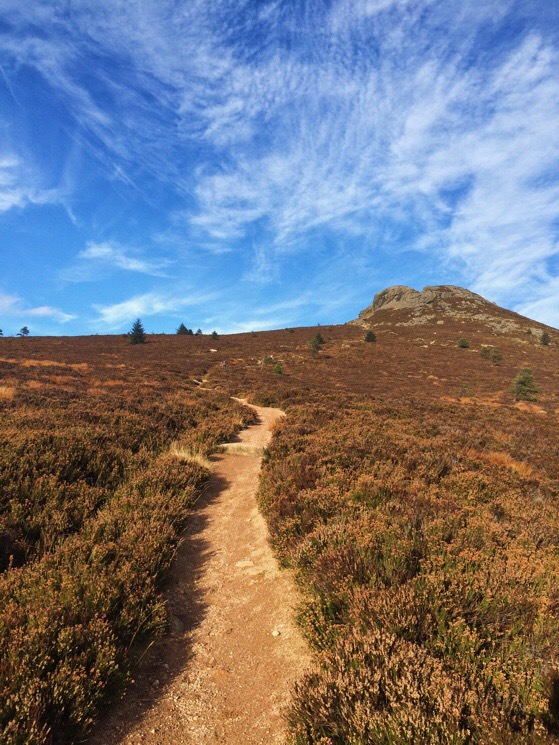 If you fancy a quick climb and trip to the shire from Aberdeen, Bennachie is a perfect day trip. It takes about 30 minutes to reach the bottom by car and it takes our family about 2 hours to do the hike to the top of Mither Tap and back. Saw your son at church yesterday and got a big hug. Told him you missed him and he said he missed you. He also said the was soooo glad to be home. He’s so grown and handsome. I thought I saw Cole the other day and didn’t realize he was here! Awesome pictures! Thank you for sharing!